The Falcons had little time to rest following the previous weekend’s intense SEASAC schedule, and a large number of our young athletes once again set out to make their mark during Saturday and Sunday’s BISAC tournaments. While here at NIST our U19 boys and girls badminton players defended their home court, others headed to ISB for the U19 Boys Softball and U15 Boys Tennis Tournaments, to BPS for the U19 Girls Softball and U15 Girls Tennis Tournaments, to the Windsor Park Golf Club for the BISAC Golf Tournament, and to HIS for the Short Course Swimming Championships. With so many events happening, preparation was critical, and both the players and coaches deserve a great deal of credit for the hard work they put into training for the tournaments. 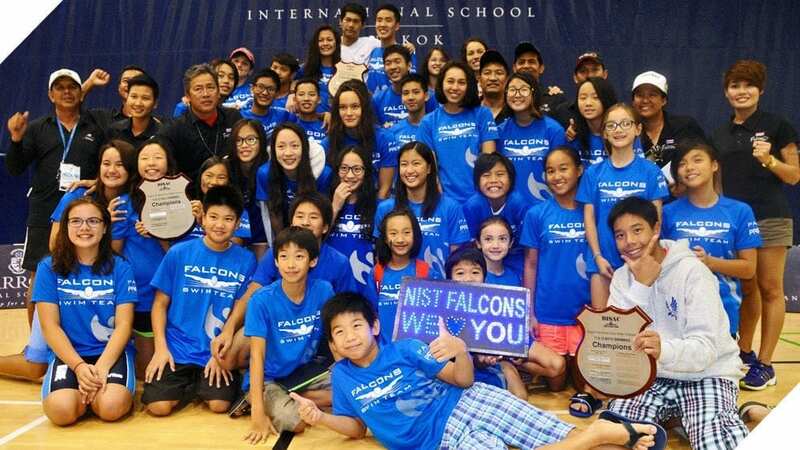 In virtually every respect our sports programmes have continued to improve through the refinement of coaching and the dedication of the Falcon athletes. Though they went into the weekend with confidence, our players didn’t meet our expectations. 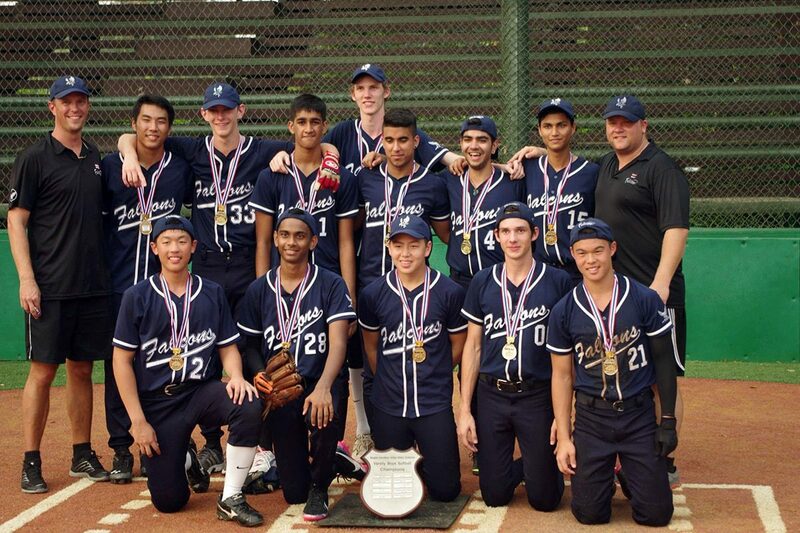 Saturday kicked off the weekend with badminton, softball and swimming. 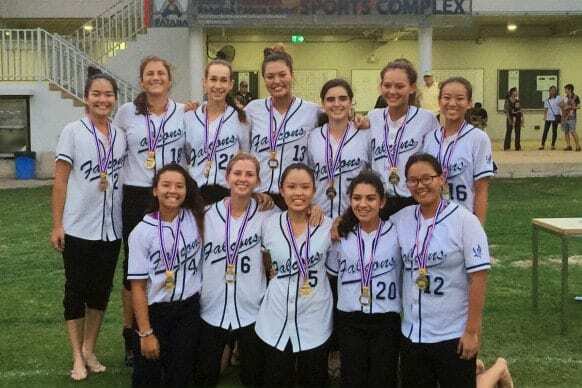 Following up on their dominant SEASAC performances, in which they both earned top trophies, both the U19 boys and girls softball teams again walked off the field as champions. The boys finished the season 17-0, outscoring their opponents 303-68. 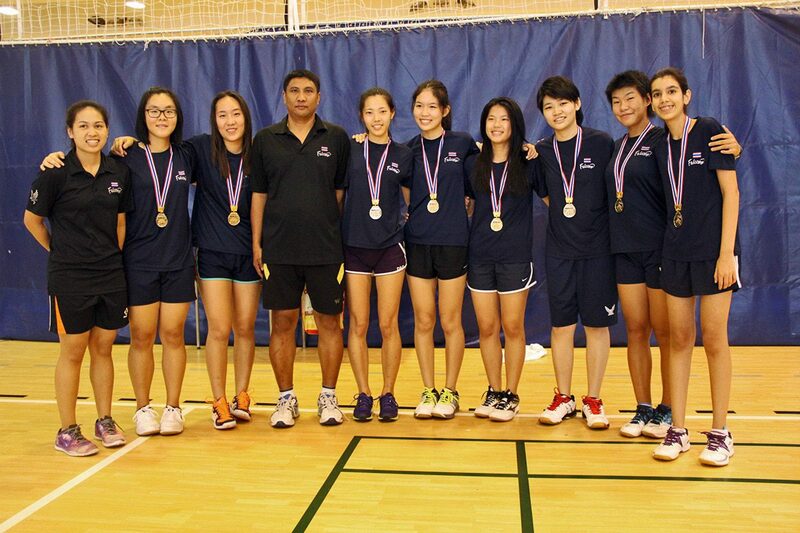 Here at NIST the badminton players showed their home spirit as well, facing stiff competition. 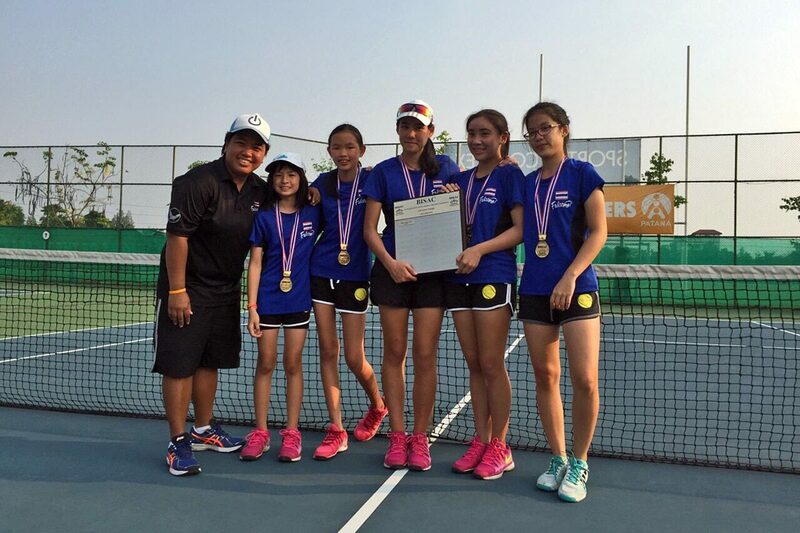 By the end of the day the U19 girls team also earned the championship trophy—the third of the day. Not to be outdone, the swimmers were on track for excellent standings and were well-positioned for the second day of the event. 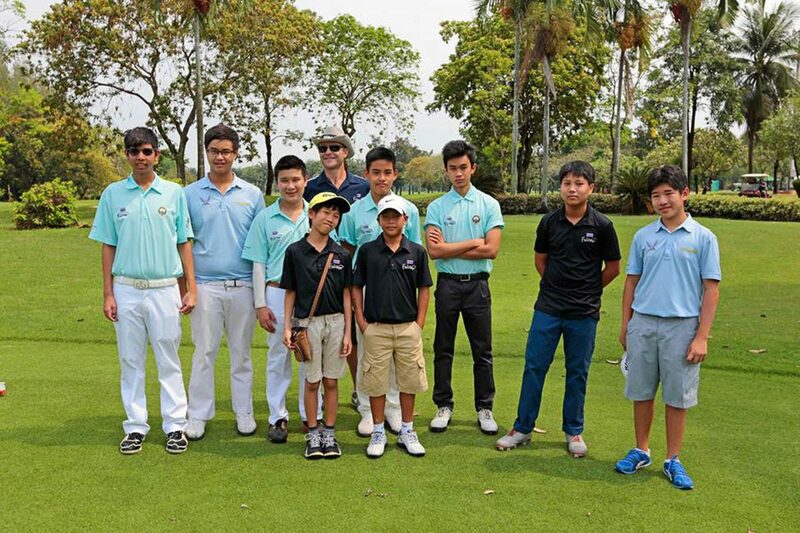 A sleepy Sunday morning saw our golfers on the grass at Windsor Park Golf Club, and they all put in a superb effort. The young team, led by coach Deryck Ashcroft, has grown tremendously over the past year and share a positive attitude toward the sport. The small team includes Pann Pongsanarakul, Sitamon Ratanavadi, Sasawat Santivisat, Dew Tangsawatdumrong, Tunn Junhasavasdikul, Joey Surapakdi, Pat Junhasavasdikul, Nathan Suteesopon and Jay Jay Phandthong. 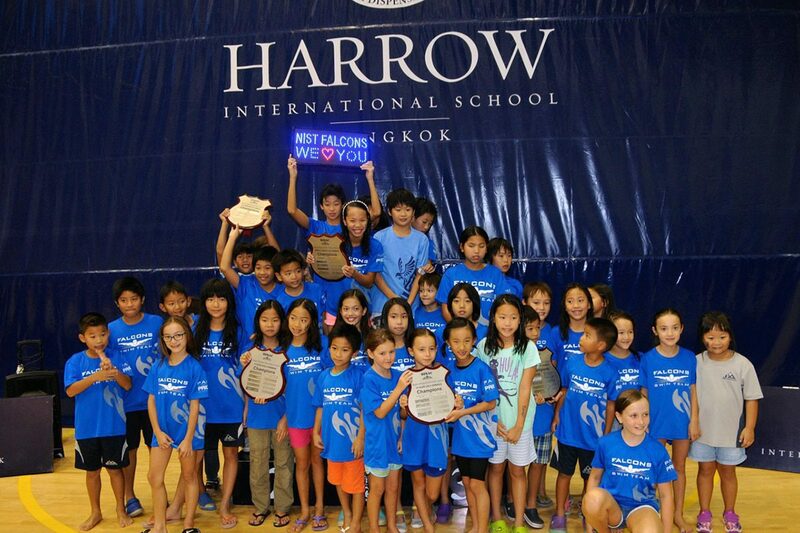 That same passion was on display in our tennis teams, as the boys and girls teams challenged their peers at ISB and BPS. Both groups put on a great performance, and the U15 girls netted the fourth championship of the weekend. One weekend, 13 championships! The Falcons continue to impress with their tenacity and team spirit, and we’re proud of the praise they’ve received on and off the court. A special thanks must again go the coaches for their work in continuing to develop our athletes, as well as the parent groups which have been so generous in their support of the sports programmes. With the last tournaments still to come, we look forward to ending the year with even more great results.